One of the biggest problems with most homes is not what they have, it's what they don't have--a sense of the owner's style and personality. 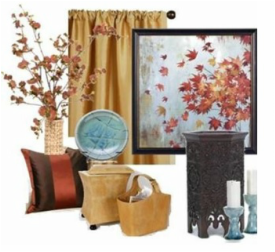 When carefully chosen, accessories are an excellent way to add life and warmth to a space. Unfortunately, most people don't know how. I'll feature the items you already have and suggest purchases to build on them. I can provide you a shopping list with multiple options so you can shop at your leisure. If you prefer, take advantage of my personal shopping service. Accessory Selection and Placement starts at $100 an hour.